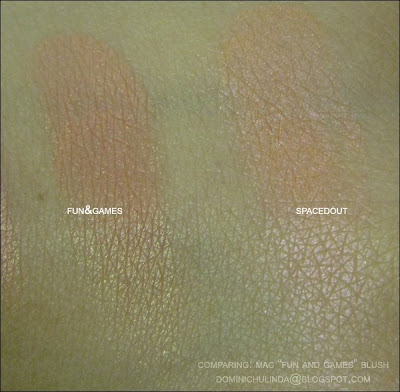 Fun and Games: as you can see here "Fun and Games: has more of a "orange" glitter cast to it. 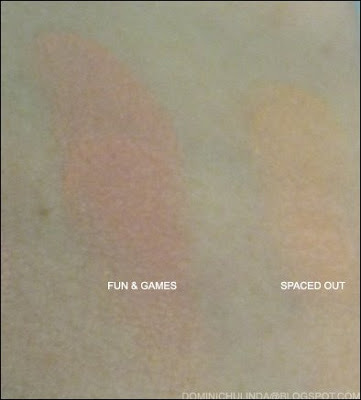 Spaced Out: here "Spaced out" has an opalescent duo chrome sheen to it. 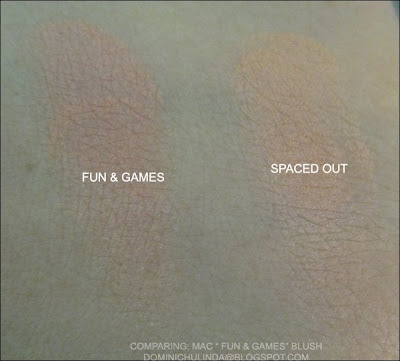 Overall: In person I can see how the two looks very much similar, but as you can see here no MAC product is alike. 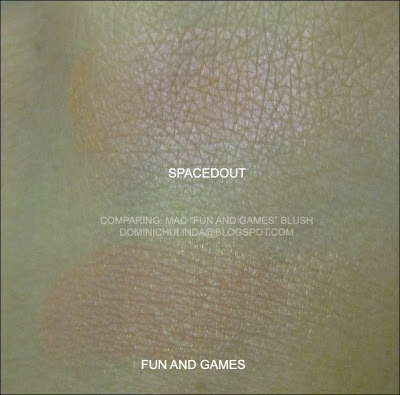 When I went to pick this blush up ...one of the MA loved my blush (I was wearing "Spaced Out").